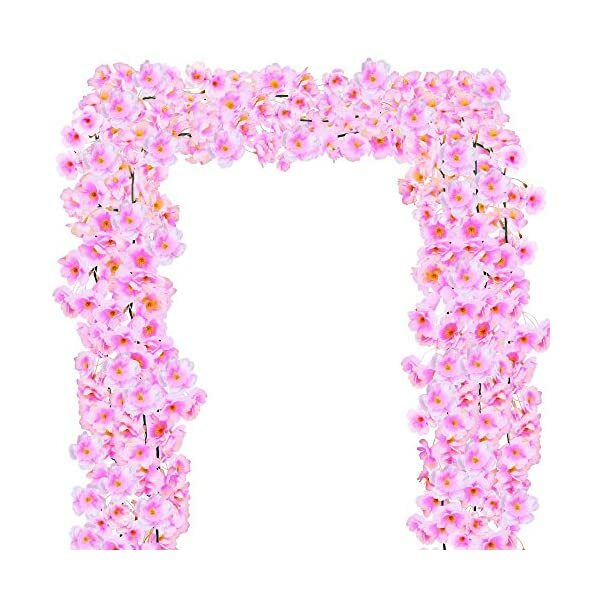 Quantity:3 Pcs Faux Cherry Blossoms Strings Vines Garland in light pink.17.7′ in length totally. 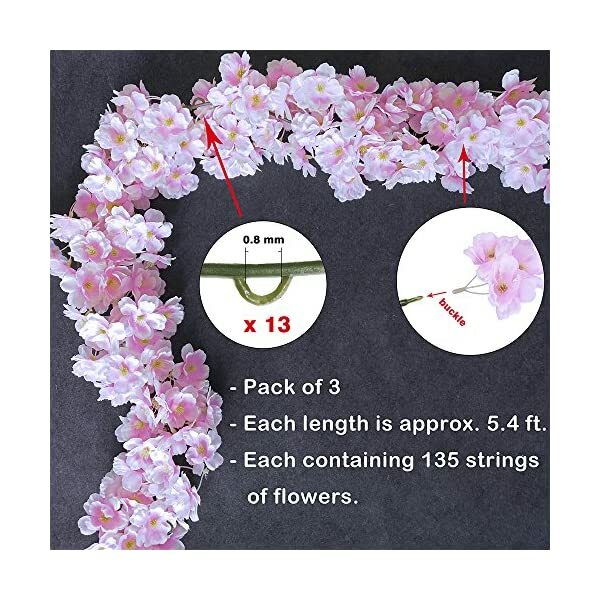 Size:Each cherry blossom vine is about 5.9′ in length with 135 Pcs Sakura Flowers. 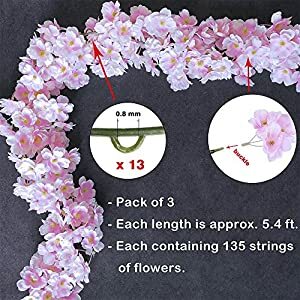 Material:silk cherry blossoms blooms and plastic stems. 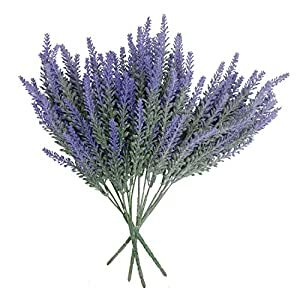 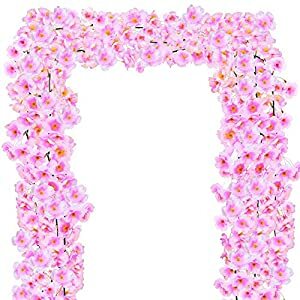 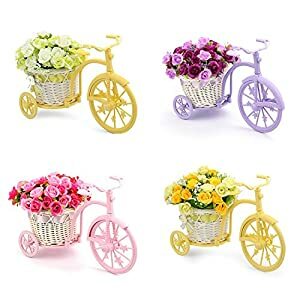 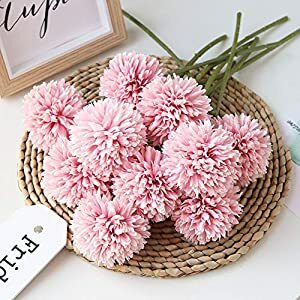 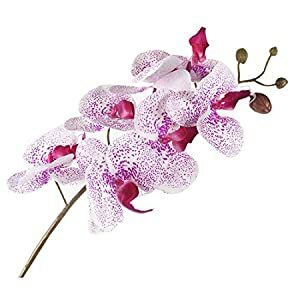 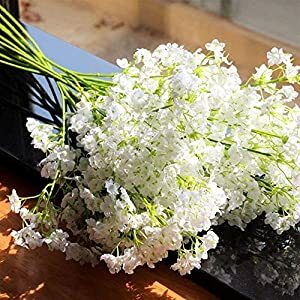 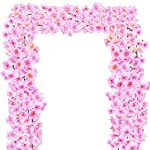 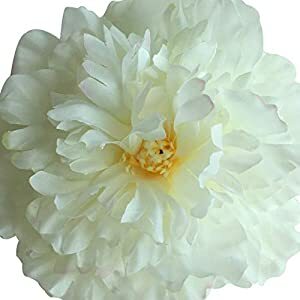 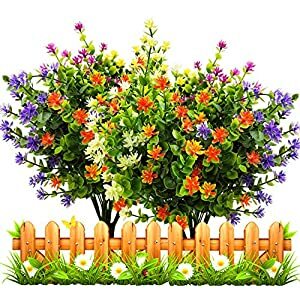 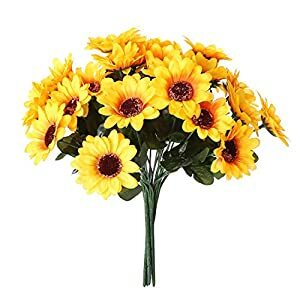 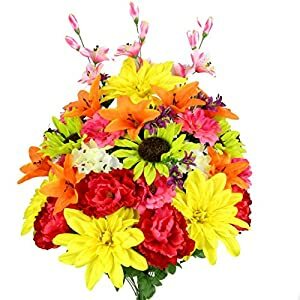 They will brighten any arrangement.They can be used to make kissing balls, wedding cake decorations, wedding table centerpieces hair clips, corsages.You also can hang it on the wall, doors, swing, mirrors,Wedding Arch, and anywhere as you like to enjoy with artificial cherry blossom vine. 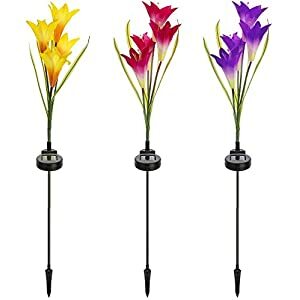 They are suitable for many places such as homes, companies, parties, banquets and offices and other occasion.